Visit the links to these manufacturers, distributors and suppliers, for an in depth look at the products we carry. 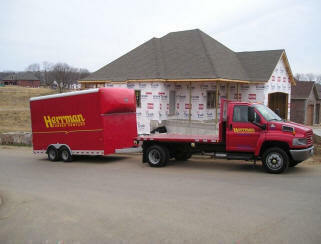 From start to finish, Herrman Lumber Company can help you with products from the best manufacturers in the industry. For complete information on the products you see here, check out the manufacturers links to get the whole story. If it's a new home or a home makeover, we have the products you need and the service to go along with it. JELD-WEN was officially founded in 1960 when five former managers of the Caradco Window Company agreed to purchase a millwork plant in Klamath Falls, Oregon. At that time we began with 15 employees and over the last half century we have grown into one of the largest privately operated companies in the United States. Today JELD-WEN has more than 20,000 employees, across 150 divisions in more than 20 countries. We manufacture everything from vinyl, aluminum clad, and wood windows to molded, steel, fiberglass, and wood doors.We understand that your home is a reflection of you, which is why we offer a wide variety of windows and doors to fit your style as well as your budget. We always strive to develop high-value products that satisfy your needs while also seeking ways to reduce our impact on the environment. The range of our windows and doors is practically limitless; we produce an abundance of designs to complement any home. 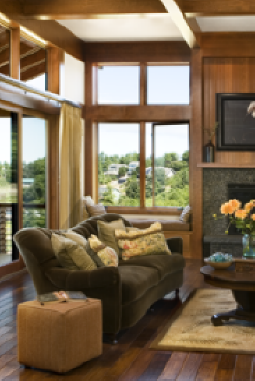 With industry-leading warranties, energy efficiency and design options, we're sure you'll find the windows and doors that fit you.